Qatar has become increasingly assertive in its attempts to dictate affairs in the Middle East. 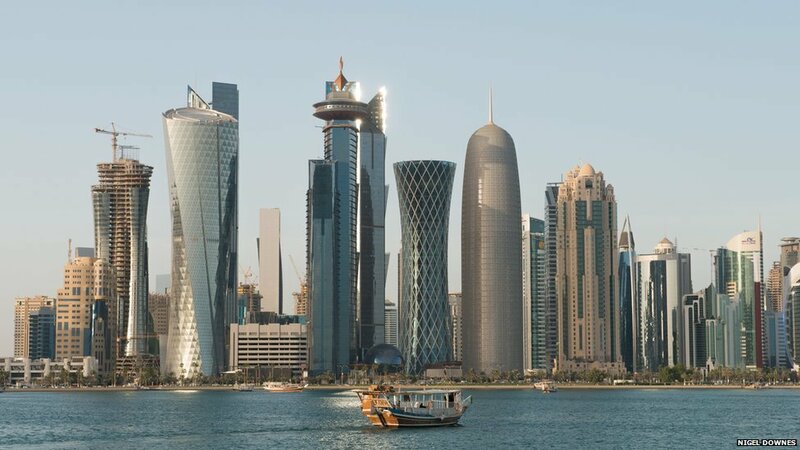 Not one of the region’s historical powerhouses, Qatar has sought to use its economic clout and the media resources at its disposal to play a leading diplomatic role in several areas of political importance. The ongoing conflict between Israel and Hamas has intensified security concerns in the region. A dispute often managed and mediated by Saudi Arabia and Egypt, however, now partly rests on the negotiating skills of the Qataris. Having alienated Hamas over its treatment of the Muslim Brotherhood, Egypt’s new government has been supplanted by Qatar at the mediation table. Saudi Arabia, meanwhile, has faced-off against Hamas by proxy in Syria and has also been unable to bring a swift end to the deadly violence in Gaza. 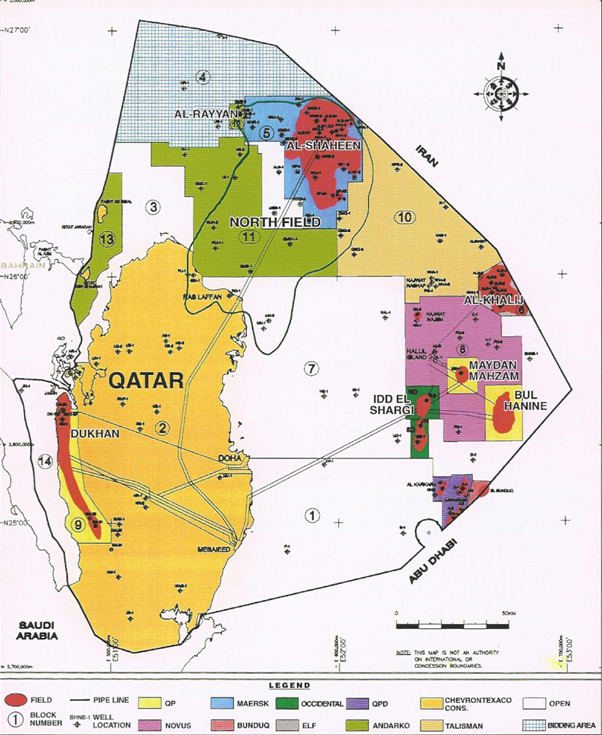 Qatar is ruled by the House of Thani which has controlled the peninsula since the mid-19th century. This was at the time of the ‘Great Game’, when British and Russian imperialists sought decisive influence over Central Asia and the Middle East. It was the ‘British Raj’, based in India, that came to exert a dominant influence over the Persian Gulf creating a maritime truce amongst its states that gave Britain a crucial economic advantage. There is little doubt that as long as the current régimes in Bahrein, Qatar and the seven Trucial States remain in power they will continue to follow the habits of the past 150 years and look to Britain for help and advice, even if direct military protection is denied them. Qatar was seen as trapped in Britain’s shadow, even in the post-colonial world. Such a theory has not been borne out. As early as 1957 Qatar had provided a refuge for Yasser Arafat and other leaders of the burgeoning Fatah movement after an agreement between General Nasser of Egypt and the UN to expel guerrilla groups from the Gaza Strip (Rouleau, 1975). As the country’s oil wealth grew rapidly in the second half of the 20th century, Qatar began to exert greater influence in regional affairs. Any notions that it may remain in the British, or even Saudi, shadow, failed to materialise. 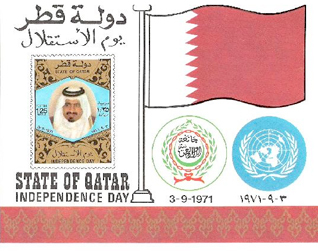 The founding of Al Jazeera in 1996 further strengthened the regional and international prowess of Qatar. Funded by the Thani Emirs, it has become the Arabic mouthpiece across the globe, with news disseminated to suit the priorities of Qatar’s rulers. Support for the Muslim Brotherhood and other popular Islamist movements in the Middle East has helped Qatar’s rulers dismiss any accusations of arrogant aloofness and provided an important bargaining chip in negotiating on behalf of Hamas. Whether Qatar has the assertiveness to use the tools at its disposal remains to be seen. To think, however, that a formerly British-Saudi dependent sheikhdom on the tip of the Arabian Peninsula could come to exert such influence in a war-torn region through the use of resources, a powerful media outlet and aid to populist Islamist groups is quite staggering. Whether this influence will be used for the common good or, as Qatar’s neighbours accuse, national gain, may soon be known. The release and repatriation of Venezuelan General Hugo Carvajal has brought rare attention to the tiny Dutch overseas territory of Aruba. Situated some 20 miles north of the Venezuelan coast, Aruba has been populated by Europeans since the early 16th century and yet is seldom mentioned in the annals of the Age of Discovery. Aruba’s lack of appeal to the romantic notion of glorious European colonization in the Americas perhaps accounts for its absence from many histories on the subject. Devoid of the gold and silver resources that enticed many of the early European ventures to the Americas, Aruba’s native Caquetio population was almost entirely deported by Spanish officials in 1515 so that they could serve in the copper and gold mines on Hispaniola. 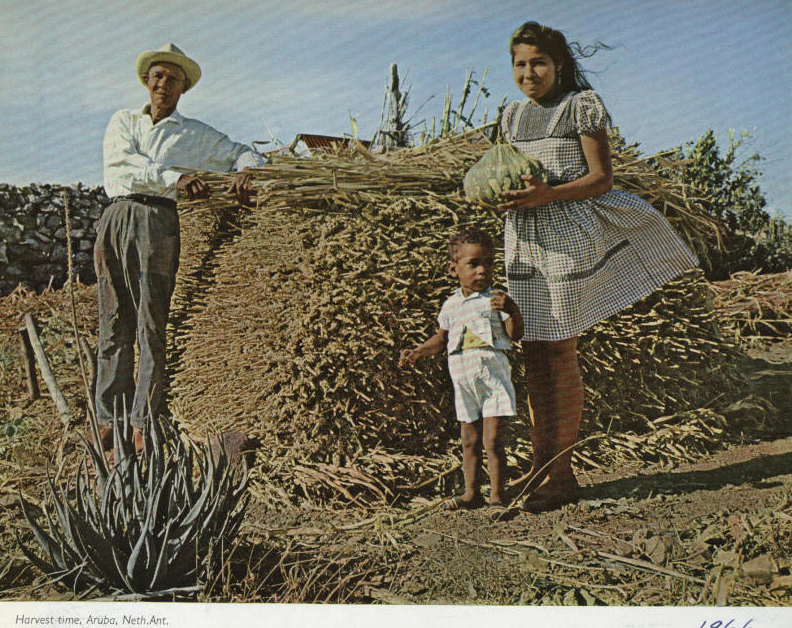 Amerindian re-population of the island gradually occurred and the Spaniards used Aruba almost exclusively for pastoral farming, with some accompanying logging enterprises, unsuited as it was to the sowing of crops. In 1634, the Dutch West India Company (WIC) took control of the island, reducing the Amerindians into a perpetual state of semi-slavery on various agricultural plots. The European presence, whilst permanent, was limited by a moratorium on non-WIC colonization. Aruba is unusual in that it did not have a significant African slave population. Only in the 19th century were African slaves imported with any consistency and they mainly served as craftsmen or agricultural laborers for their Dutch masters. In the absence of the large plantations that dominated the European economies throughout the rest of the West Indies, concentrated populations of slaves on Aruba were rare and this prevented any violent slave revolt. 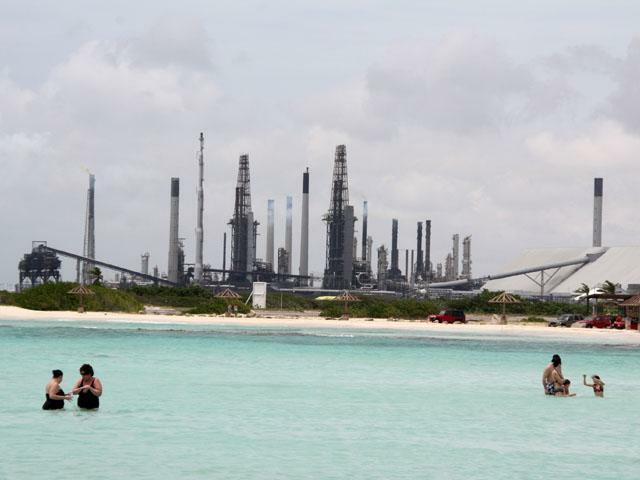 After the abolition of slavery in 1863, the Aruban economy stagnated, only to be reinvigorated by an investment in the oil refining business on the island in the early 20th century. Indeed, during WWII, Aruba supplied considerable amounts of refined petroleum to the Allies when, after the Dutch surrender, it was first a British and then an American protectorate. Despite concerted moves towards independence in the second half of the 20th century, Arubans now seemingly remain content to reside under the Dutch flag. With 80% of its people designated as a mixture of White/Black/Amerindian, Aruba has one of the most homogeneous populations in the region. Carvajal’s arrest by the Dutch authorities – on suspicions that he is involved in drug trafficking and in the employ of the Colombian Farc rebels – brings only the briefest attention to an oft-overlooked island with a unique colonial history. For its population of 103,000, this lack of attention towards Aruba is probably no bad thing.